Hey, teacher friends! I know I am so late with this post, but better late than never, right? 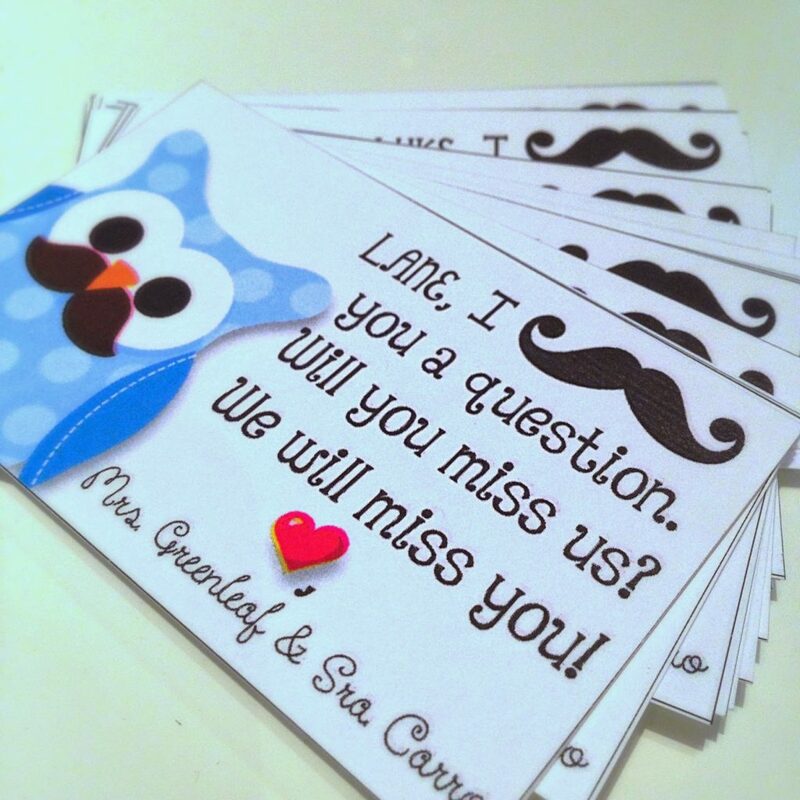 At the end of this year I created some Memories QR Code Cards for students to have of all of our class videos. 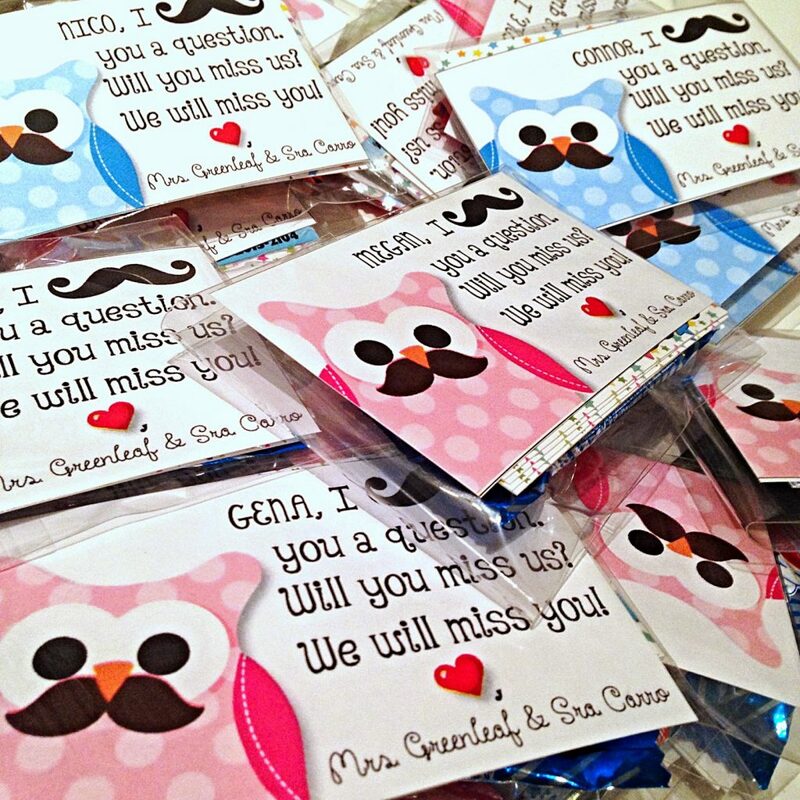 I still needed to add something else, so using some adorable owl mustache (or moustache :P) by JW Illustrations and a font called ZippyTrippy by Zip-A-Dee-Doo-Dah Designs, I created these personalized gift tags to go with their QR code cards. I have provided this for you, too, in an editable PowerPoint at TeacherspayTeachers. If your school hear has ended, just tuck it away for next year. 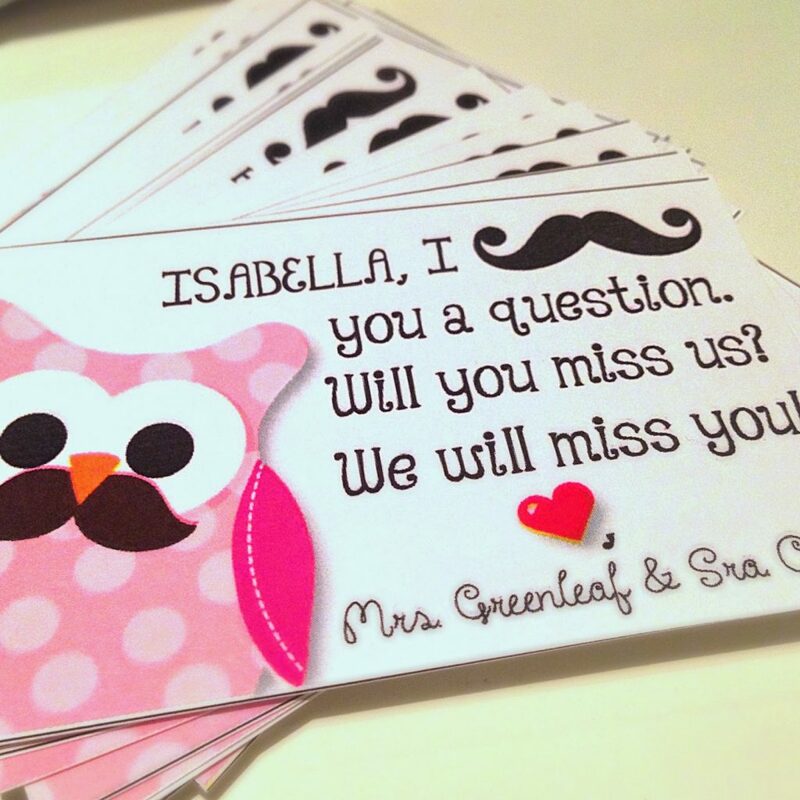 After creating these cards, I decided to also create a Mustache Classroom Materials Decor Pack with a teal, lime, and black color scheme for all of the mustache-loving teachers out there. You can check it out here or by clicking the image below. If you’re trying to decide on a theme for year, I’ve got plenty! Check them all out here. 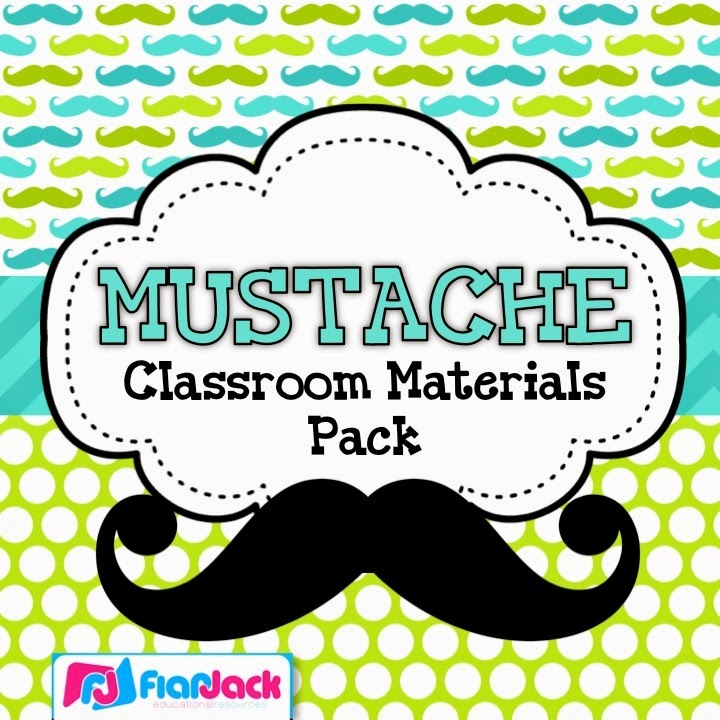 Have a FAN-TACHE-TIC weekend! *** And it’s 50% off through this Sunday (June 22, 2014) so grab your copy quick!